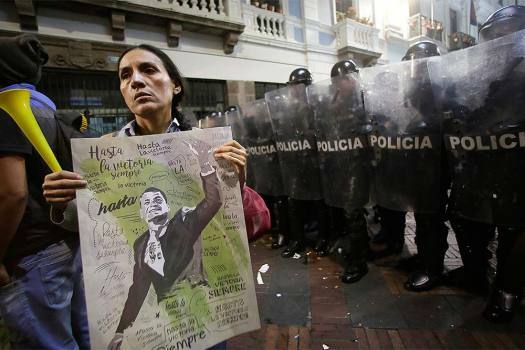 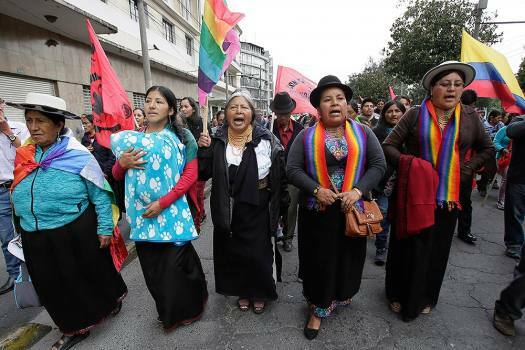 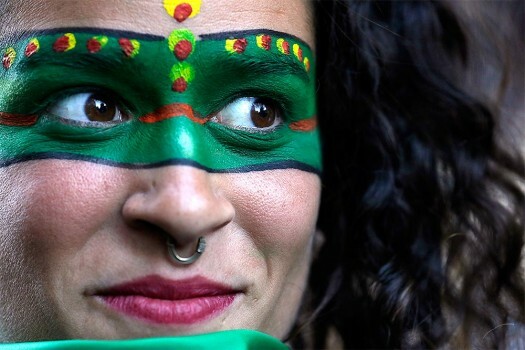 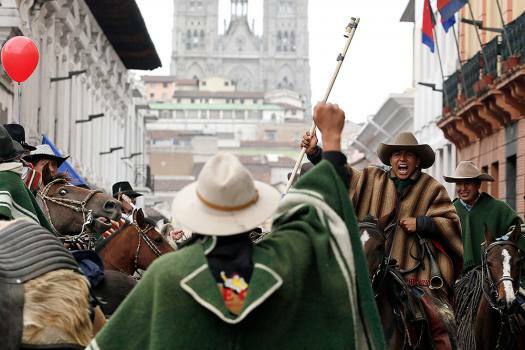 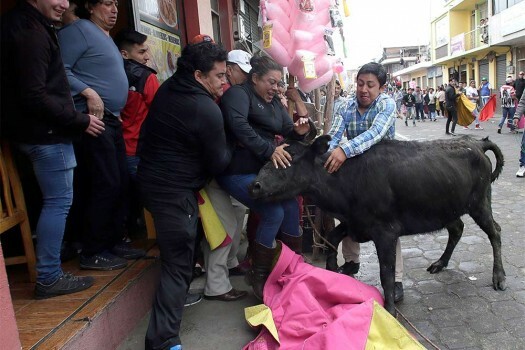 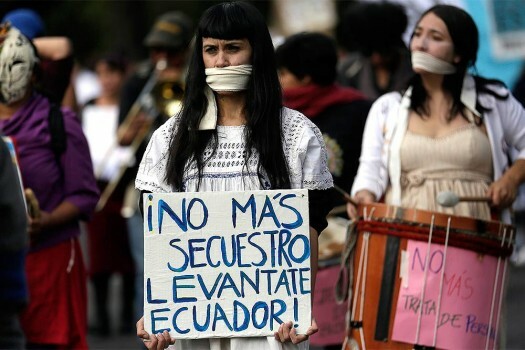 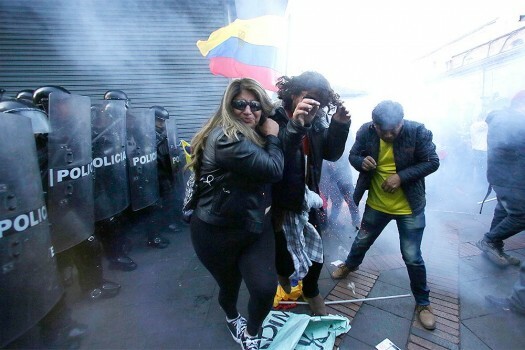 Women participate in a Women's Day rally in Quito, Ecuador. 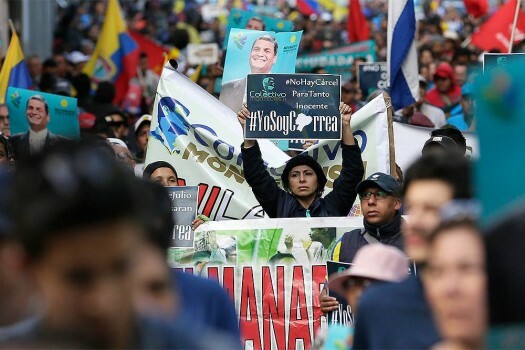 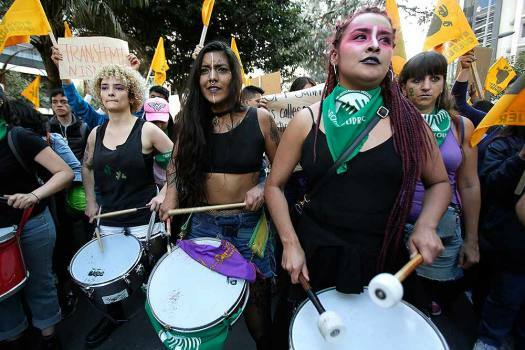 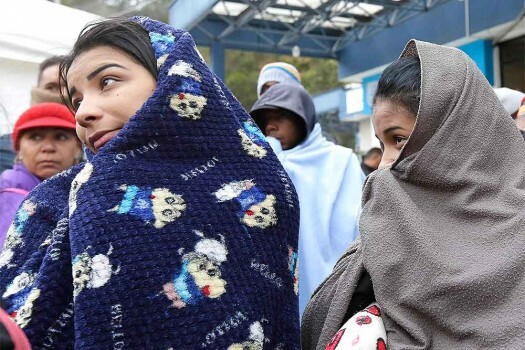 The march was concentrated in front of the Labor Ministry, to demand labor improvements and more employment for women. 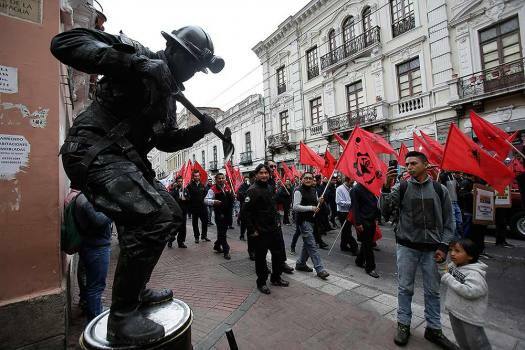 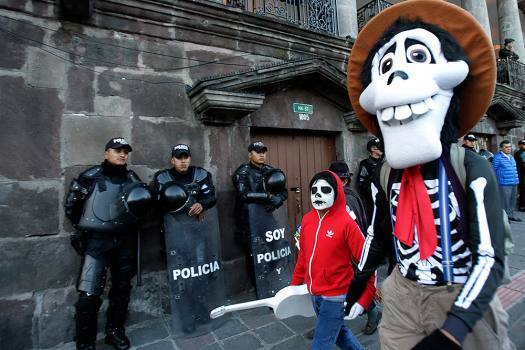 A father and son wearing Coco movie character Halloween costumes walk past the government palace where police stand guard in downtown Quito, Ecuador. 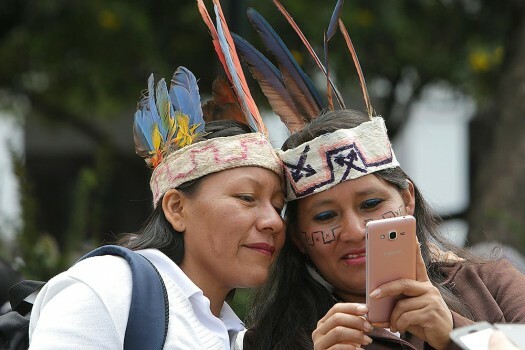 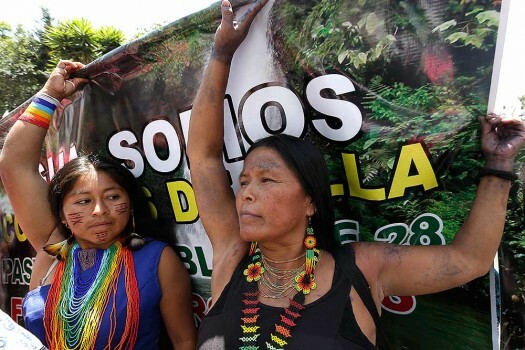 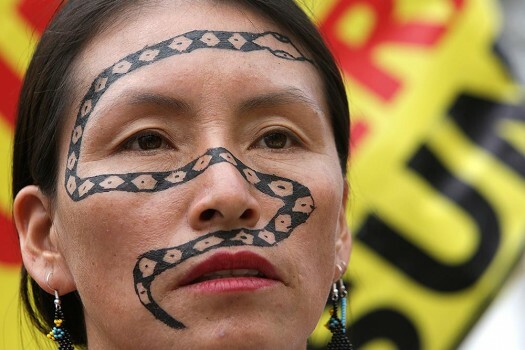 Zapara indigenous women from the Amazon check their selfie as they protest mining and oil drilling in the Amazon, outside government palace in Quito, Ecuador. 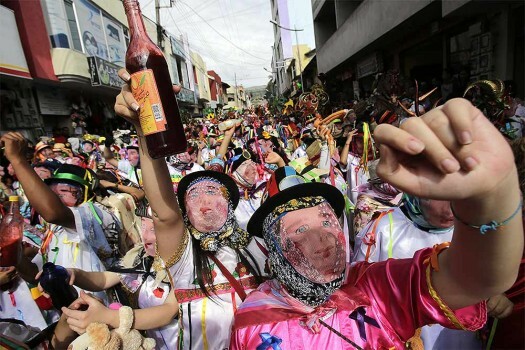 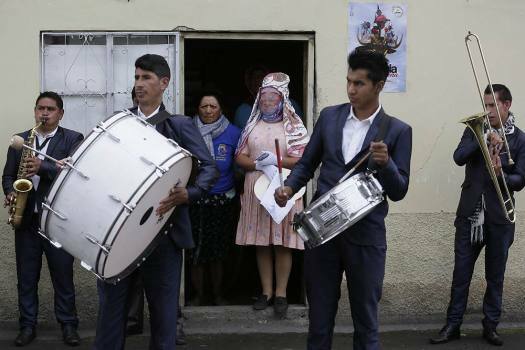 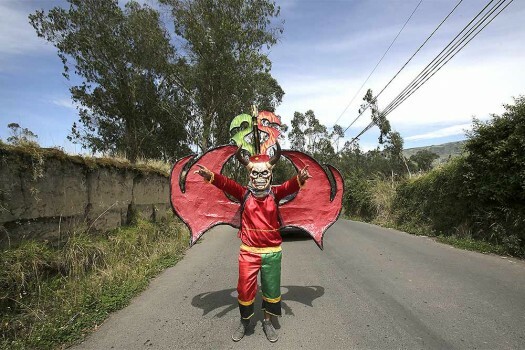 Revelers wear wire mesh mask that represent the more affluent during the traditional New Year's festival known as "La Diablada", in Pillaro, Ecuador.